Story: Some astronauts goes to saturn on a mission. 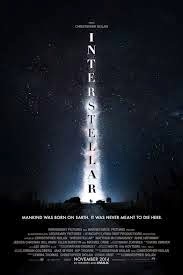 Review: Nolan yet again tricks the viewers with a mind spinning plot in Interstellar. I wonder, how could he ideas to make the viewers bang their heads or make them watch the film more than once to understand the story what he wanted to show in the movie. Seriously, till some point of the film you would think that you interpret the core story, but there will be always a twist. Even I was in the perception that I understood the story but there is a tricky part in Nolan's films as in all other films. Few scenes were really shot well, thanks to the cinematographer. Matthew has given another spellbound performance and elevated few of the scenes with his acting. Anne Hathway was good as Dr. Brand. + Points: Matthew McConaughey, Visual effects. Interesting points: Matt Damon played a surprising role in the film. Suggestion: I can't comment on this. Bottomline: You need to study physics first to pass in Interstellar exam. but the story is very confusing, if there is no story in the film it doesn't make any sense whatever graphics you have in the movie.